More than eight hundred years on, Rumi’s stories about the human spirit continue to captivate us. The difficulty of escaping the many deceptions of the world, the inevitability of death and the all-forgiving power of love are just some of the themes that fascinated this great Sufi mystic, whose works are among the greatest treasures of Persian literature. 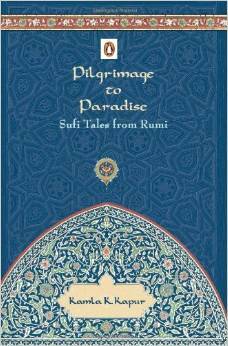 Contemporary and accessible, this collection of thirty stories from the Mathnawi reflects both Rumi’s relevance to the modern world and the essence of his vision. Including delightful tales like ‘The Witch of Kabul’, ‘The Cup of Praise’ and ‘Bayazid’s Holy Body’, as well as a lucid introduction to Rumi’s life and thought by Kapur, this book will lead the twenty-first century reader on a journey of spiritual quests, humorous jaunts and insights into the human heart.